Hit the fairways on the Big Island, Maui, and Lana’i, then linger with whales, race with dolphins, kayak, snorkel, relax - savoring each moment in total yacht comfort. 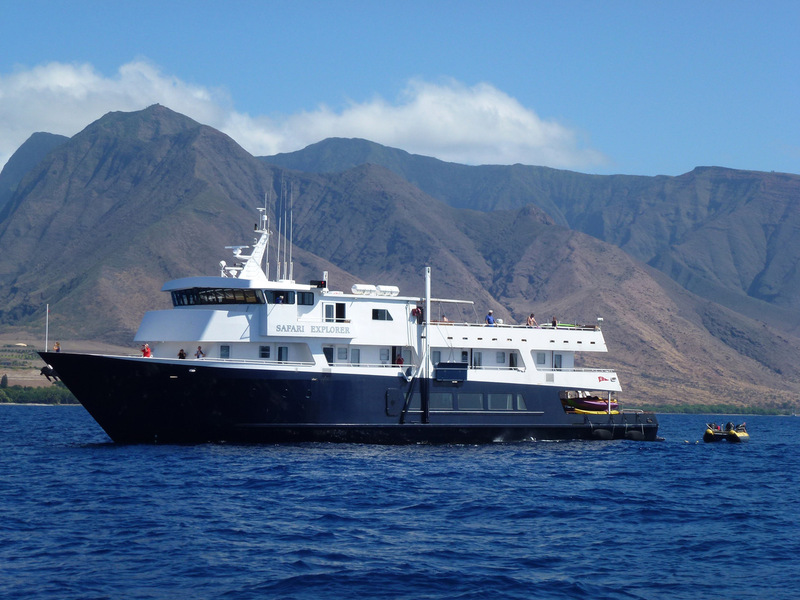 The 36-guest 'mega yacht' Safari Explorer boasts a luxury active spa environment and serves as a host platform for avid golfers to experience some of the best golf Hawaii has to offer . It’s the perfect 19th hole! Golf at some of the most beautiful and challenging courses in the world, snorkel, kayak, view whales from on deck or in skiffs, explore the islands, and then fall into relaxation with exquisite meals featuring local seafood, an included premium bar throughout the voyage, massage, yoga classes on deck, an expansive sun deck, and intimate Wine Library. This the ultimate Hawaiian cruise for the keen golfer with a sense of adventure! Arrive Kona and transfer to Prince Resorts’ Hapuna Beach Hotel (or simular). Overnight. 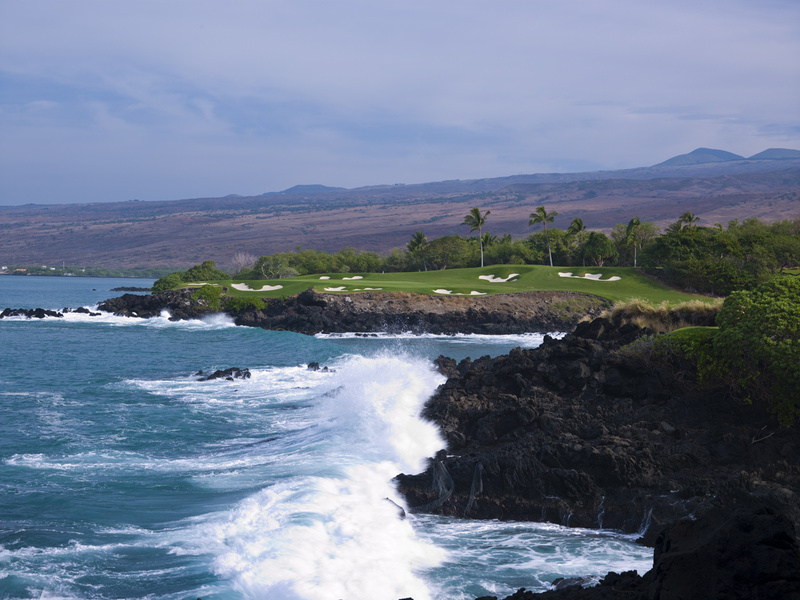 Enjoy your first 18 holes at Mauna Kea Golf Course in the morning followed by lunch. Late afternoon you’ll check into your home for the next seven nights, the Safari Explorer, docked a short distance from Mauna Kea at Kawaihae Harbor. Meet your crew and settle in for dinner and a preview of the exciting week ahead. After breakfast, join your Adventure Guides on deck for snorkeling basics and your first opportunity to choose your activity: skiff touring, snorkeling, kayaking or relaxing on board while your yacht anchors in Honomalino Bay. After lunch, board skiffs for an adventurous ride to one of Hawaii’s most vibrant snorkeling coral gardens at Kealakekua Bay. Snorkel in view of the Captain Cook Monument. Following a hearty breakfast on board the Safari Explorer, transfer via highway to The Club at Hokuli’a’s Jack Nicklaus Signature Golf Course to play a full round of oceanside golf. 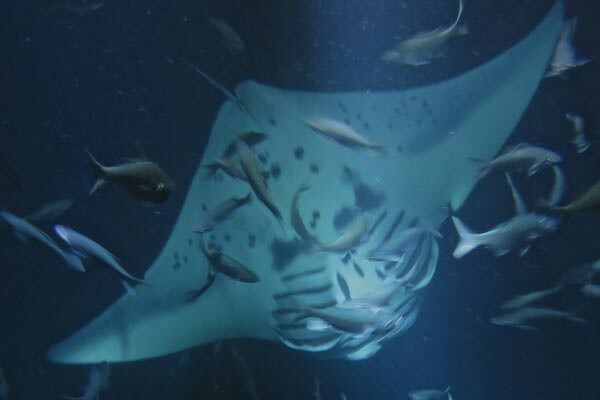 Early this evening, board skiffs from the Safari Explorer’s swim platform to experience Giant Pacific Manta rays up-close. A night crossing of the Alenuihaha Channel brings you to the leeward side of Maui, home to top-rated golf courses which have hosted tour professionals at different times over the years. 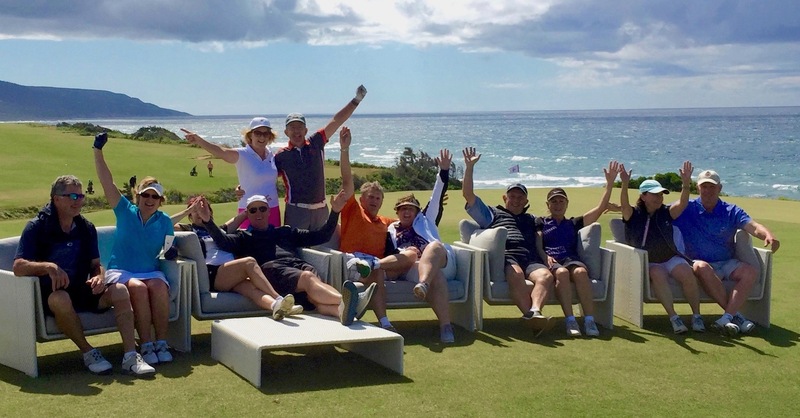 After snorkeling with sea turtles at Olowalu, board vehicles to drive along the coast to Wailea Golf Club’s Gold Course, designed by Robert Trent Jones II. Enjoy competitive play with views of Molokini and surrounding waters. Return to the Safari Explorer and enjoy a night under the stars with a fine glass of wine or relax with your included massage. Arriving at the private island of Lana’i, start off the day with a challenge—Manele Golf Course (formerly known as the Challenge at Manele). One of the most scenic courses to be found anywhere in the world. Manele features picture-perfect hole #12 and is tamed by the pampering you’ll receive once back on board your luxurious golf cart, the Safari Explorer. For anyone choosing to skip golf, a tour of Lana’i City and the island can be arranged. In the afternoon, snorkel or enjoy other water activities under the volcanic cliffs of Lana’i. From the quaint community of Lahaina, Maui, travel by highway to Kapalua Plantation Course, annual home to the PGA Tour’s Tournament of Champions. Perched on the slopes of the West Maui Mountains, Kapalua Plantation is rated as the #1 course in Hawaii. Later, stroll through Lahaina as best suits you—shop, celebrate your final golf outing with a cold beer at a local pub or restaurant, or relax in Banyan Tree Park. Tonight enjoy Captain’s Dinner on board your yacht. Moloka’i embraces you with a warm Aloha spirit reminiscent of Hawaii long ago. No stop lights, no high-rises, just a welcome slower pace. “Talk story” with locals and experience their land and traditions as few visitors do. 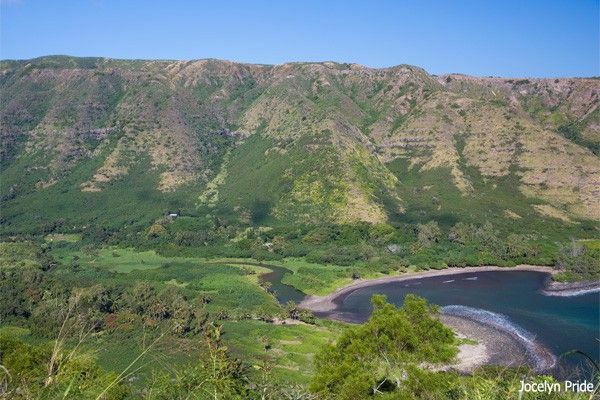 You’ll hear legends and lore, then take in a cultural lesson in taro patches and poi making, or hike to a towering waterfall in Halawa’s cathedral valley—one of the island’s most historic places. At the Molokaʻi Museum, discover the history of this ancient homeland as you enjoy an evening paʻina (feast), complete with a home-style Hawaiian jam session. Gather for breakfast in the Safari Explorer’s dining room before fond farewells and your transfer to the Molokaʻi Airport. Itineraries are guidelines and variations may come into play to maximize your experience. Numbers ares strictly limited on this once in a lifetime Hawaiian adventure.